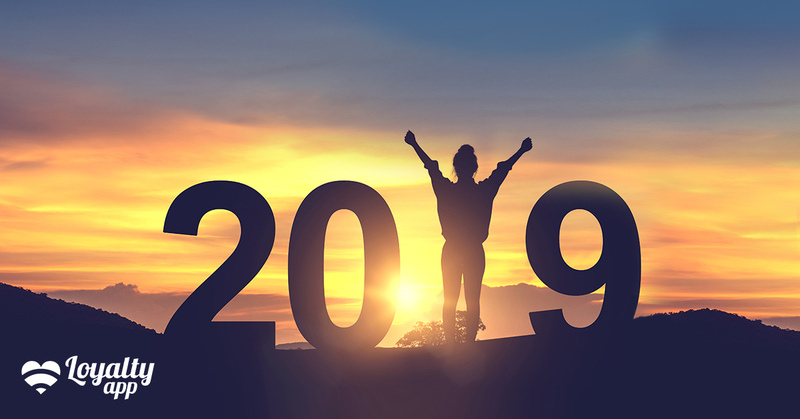 11 Jan Smash your 2019 goals with these New Year’s resolution ideas! How was your 2018? We hope you had a great year and are eagerly looking forward to what 2019 will bring. Although this year is well and truly underway and we’re still struggling with the holiday blues, it’s not too late to set yourself a resolution for this year. Take an online course. Whether it be a new language course, a business course or a course to learn an instrument, there’s plenty to have a look at online. Do some research, enrol in a subject, get studying and become a master in your chosen trade. Read more books. The age-old art of reading seems to be lost on the younger generation but it’s still one of the best ways to learn. With millions of books published on every subject you can think of, choose something you want to learn more about, find a quiet spot, immerse yourself and feel the excitement of learning through a good read. Listen to TED talks and podcasts. Maybe you’re more of a listener than a reader. No problem, there are thousands of podcasts on all types of subjects. Sports, entertainment, fashion, home improvement to name a few, there’s something for everyone. Find a subject you’re keen on, plug in those new AirPods and delve deeper on your chosen topic. Start a savings challenge. Can it really be as simple as putting all your coins into a tin at the end of each week? Yes, it can! A savings challenge will give you a plan to stick with and a goal to work towards. Even better if you challenge a mate. A little healthy competition is always fun. For even more savings, join Loyalty app today and receive exclusive deals across hundreds of WA brands. Tackle some freelance work. Start a cheeky side hustle and see how that extra cash injection can help you live a little larger. There are plenty of sites such as Sidekicker where you can do odd jobs for people and earn instant money. Where do we sign up? Take surveys. Make the most of any down time by doing online surveys that will get you paid! It seems almost too simple to be true but there are loads of online survey sites that will pay you for completing them. Cha-ching! Meal prep/eat healthier. Many people swear by this as a secret to a happier life. Make this the year you tackle that diet, eat cleaner or start making your own food in bulk. Do it correctly and not only will you feel better, but you can also save money. For a healthy pasta option our friends as Tommy Sugo have the best range of proper Italian dishes. Travel and explore. Come on, you know that holiday needs to happen! Get out and about, plan the trip you’ve always wanted or immerse yourself in the great outdoors. Getting outside or going away will make you feel happier, healthier and more positive. If your travels involve a road trip, make sure you get your car serviced at Auto Masters beforehand to ensure you stay safe. Keep a journal/diary. A great way to get your thoughts out and release any bottled-up emotions. Open your mind by getting creative, expressive and letting your ideas roam free. It’s also a great way to keep track of what you’ve been doing and whether you need some more fun or slow down and take it easy. Whatever your goals this year we hope you smash them and have a great 2019! Take a look at some of our amazing offers across hundreds of stores. Download Loyalty app today from the App Store or Google Play and start earning and using your Loyalty app dollars at WA’s best brands. Drinks in the sun? These are the best outdoor bars in Perth! Will the real Slim Shady please stand up? The best concerts to see this year!